In 2011, Lisa & I lived in a 4 bedroom apartment with 6 girls total. We named our place “The Hilton” and referred to ourselves as “The Hilton Girls”. Lisa & I shared a bedroom and both got engaged during our time there. Our other roommates joked that there was something in the vent of that bedroom, and they wanted in next! But we both know the ‘real’ reason we won our men over was because we mastered this recipe. It was love at first bite! 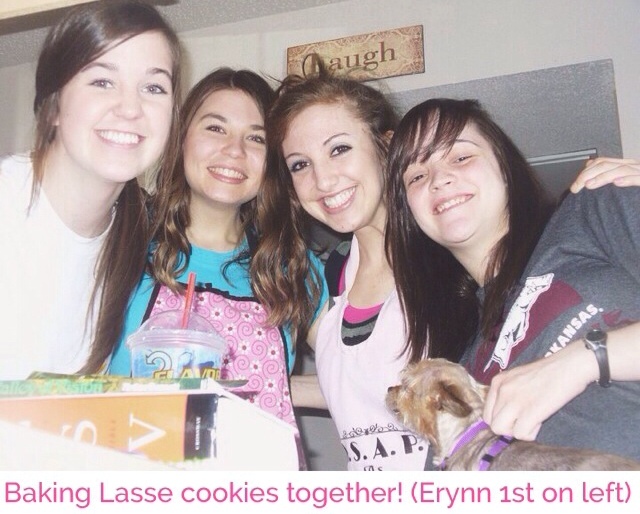 We originally learned this recipe from one of our youth girls when we worked at the church, Erynn Lasse (hence the recipe name). Her mom is an amazing cook, and we were so thankful she shared her recipe with us! 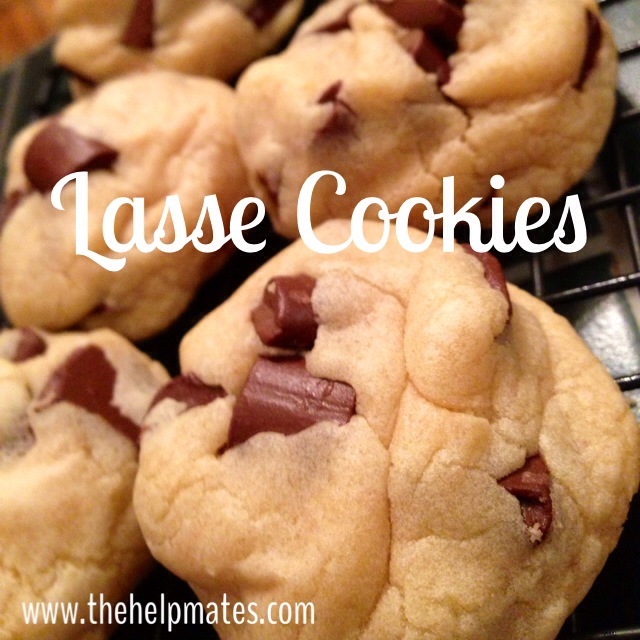 I’ve made a few changes that seem to work better with my oven, but they will always be called ‘Lasse Cookies’ in the Kramp household. 1.) Liquefy the butter and put in a large mixing bowl. 2.) Mix the eggs, sugar, brown sugar and vanilla in with the melted butter. 3.) Pour the flour, salt, and baking soda on top of the liquid mixture and mix all together. 4.) Mix your mix-ins into the dough. 5.) Roll dough into ping-pong sized balls and place 1 inch apart on cookie sheet. 6.) Bake for 10 minutes and remove. They won’t appear to be done, but they are. Let them cool & set a little longer, then transfer them to a rack to completely cool. One recipe makes about 4 dozen cookies for me. I end up halving this recipe a lot. My favorite combination of mix-ins is 1.5 bags of toffee bits (plain, not chocolate), .5 bag of semisweet chips, & .5 bag of white chocolate chips all mixed together. Lisa prefers the original Lasse Cookies, 2 bags of semisweet. I’ve also done some with Andes mints, a Reese’s peanut butter combination, etc. The possibilities are endless! 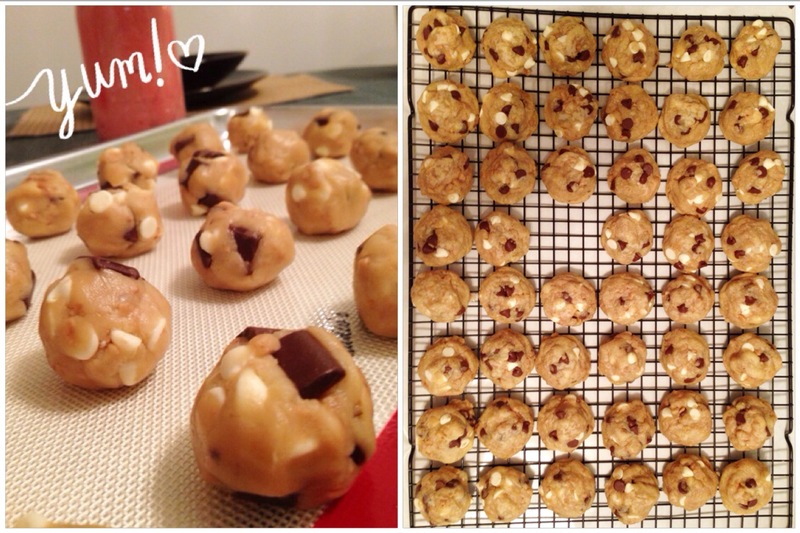 This is by far our favorite cookie dough recipe. I hope you enjoy!